Never having lived in a place where we could see the sunset so clearly, it’s hard not to take photos of this daily marvel. We decided the sunsets deserved their own page. 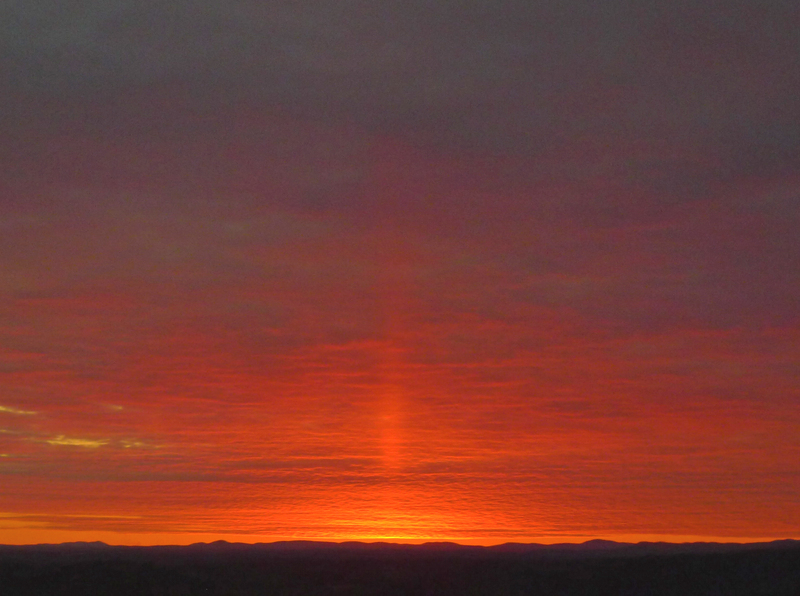 Brilliant red strip during the Dec. 6, 2014, sunset. 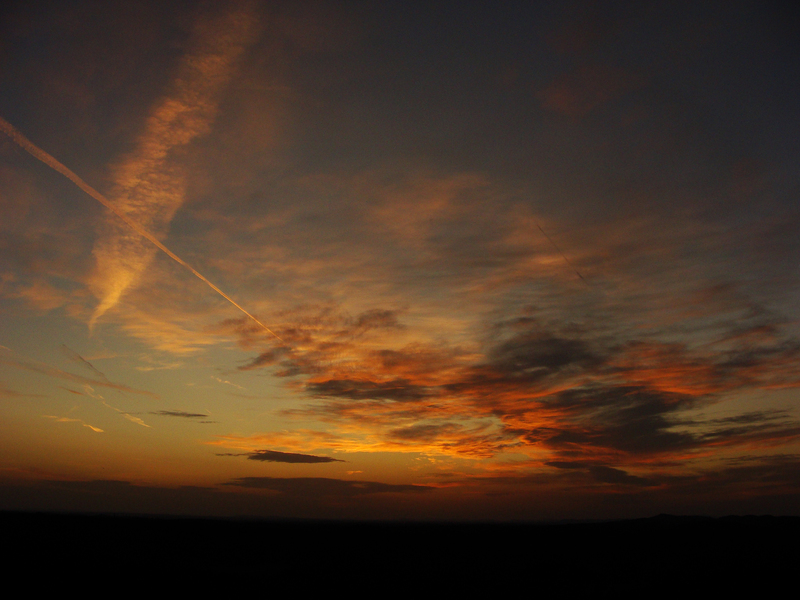 Pano of the Nov. 9, 2104, sunset. 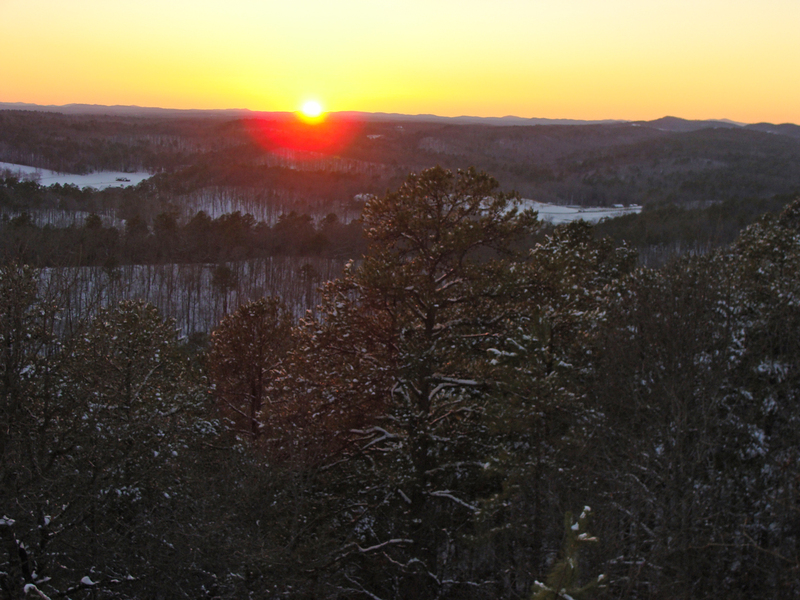 FIery sunset over the dnow-covered Ouachitas. March 4, 2014. 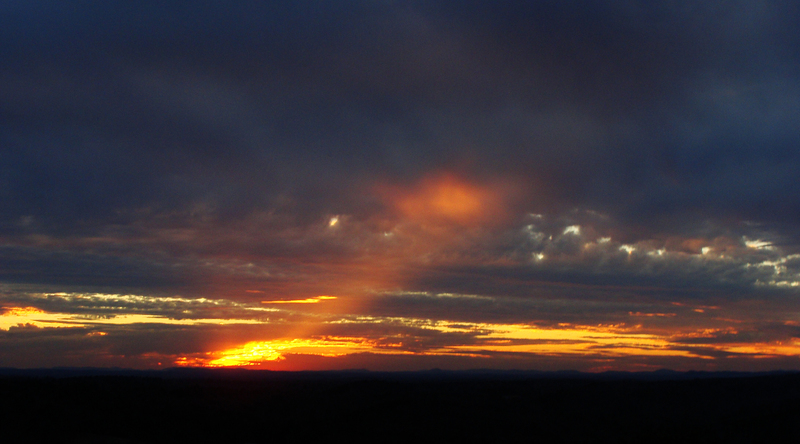 Feb. 17, 2013, jet of light at sunset. 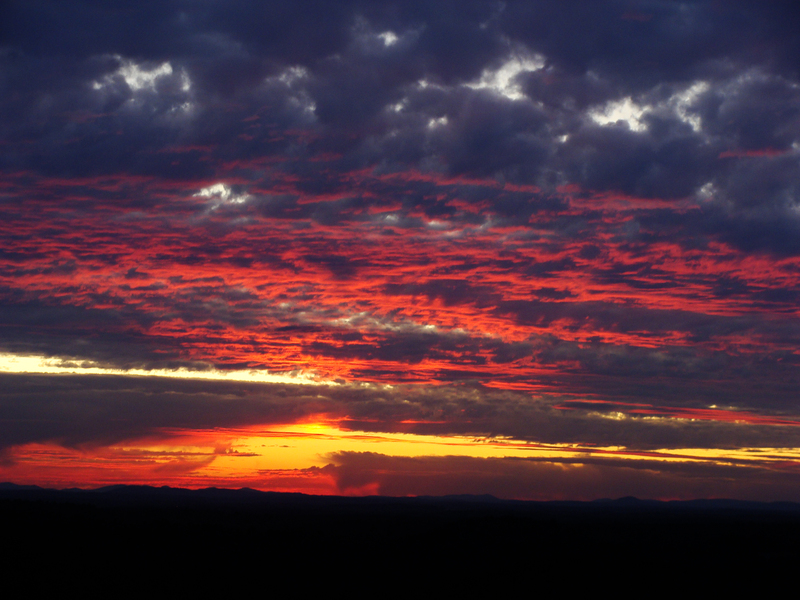 Clouds catch the red rays of the June 19, 2012, sunset. 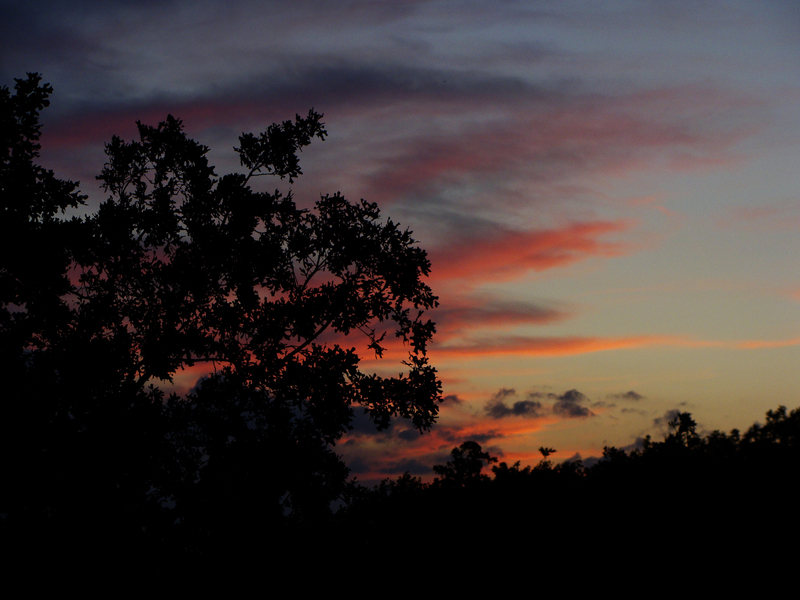 May 5, 2012, sunset. A lot of noise, but captures the stars and planets too. April 30, 2012. Another amazing light show. 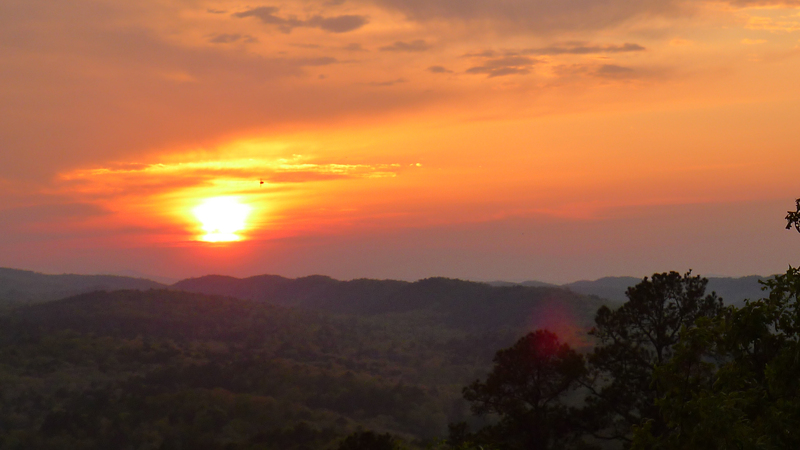 April goes out with a blaze of red sunlight. Not pictured were the lightning bolts flickering to the south. April 27, 2012. 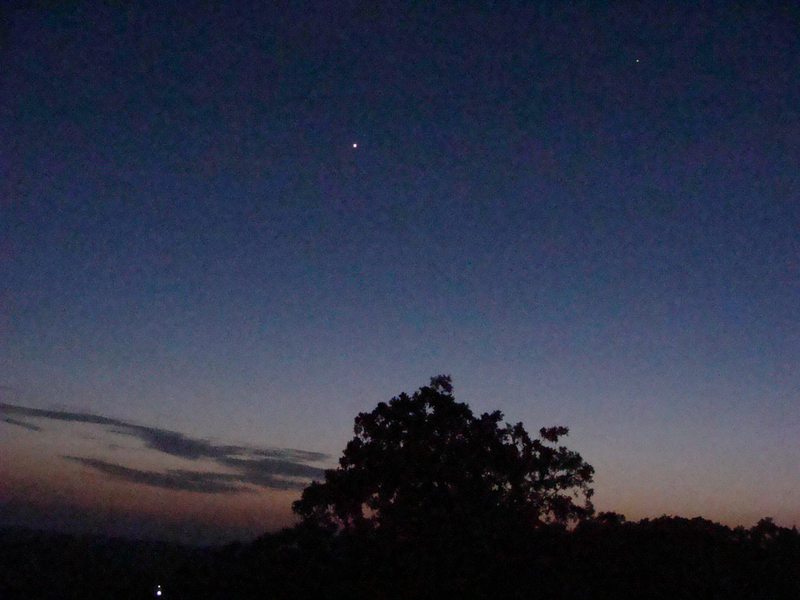 A Maxfield Parrish sunset with crescent moon with Venus visible before dark. 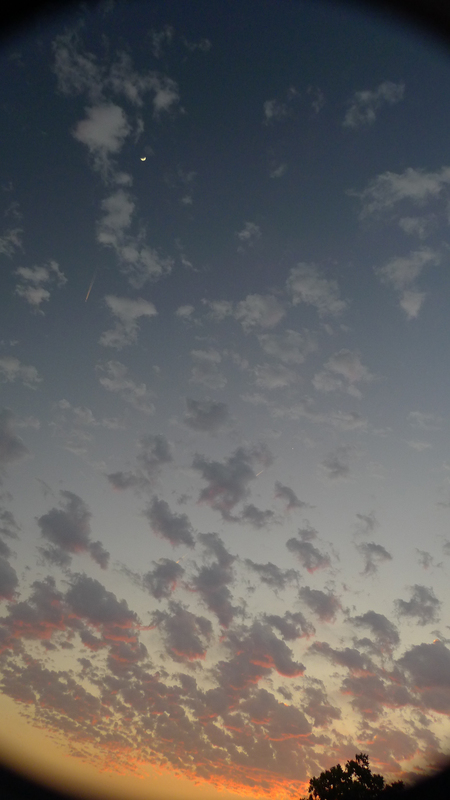 The three contrails were a plus. What a nice way to spend the evening. 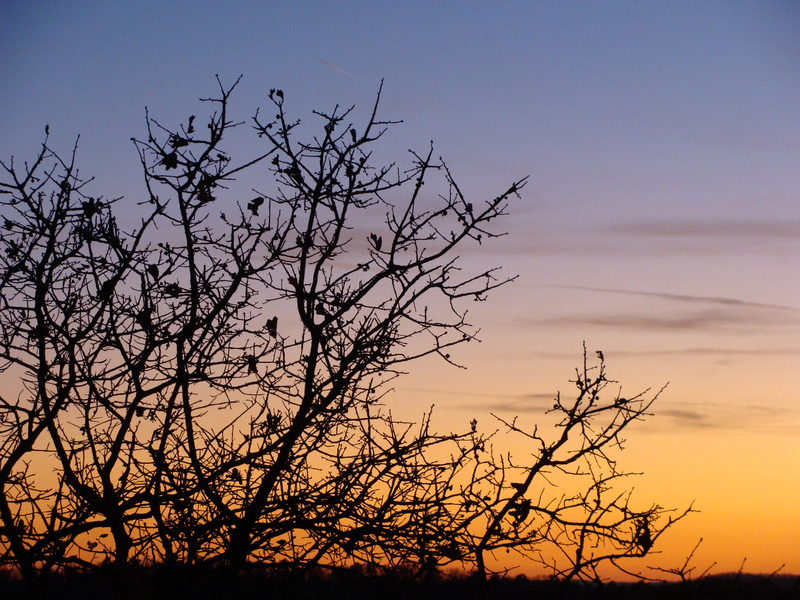 Carpenter bee is silhouetted against the March 28, 2012, sunset. 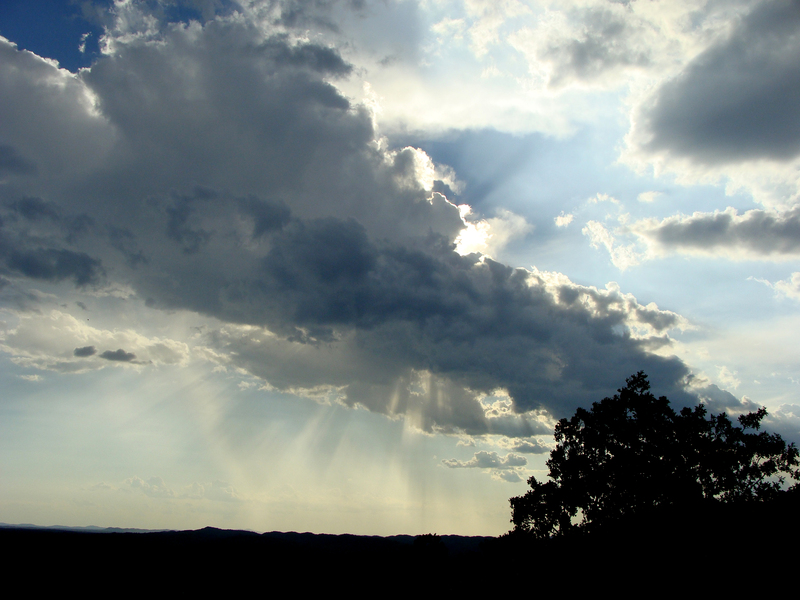 The sun manages a smile of sorts at the end of two days of heavy rain on March 21, 2012. 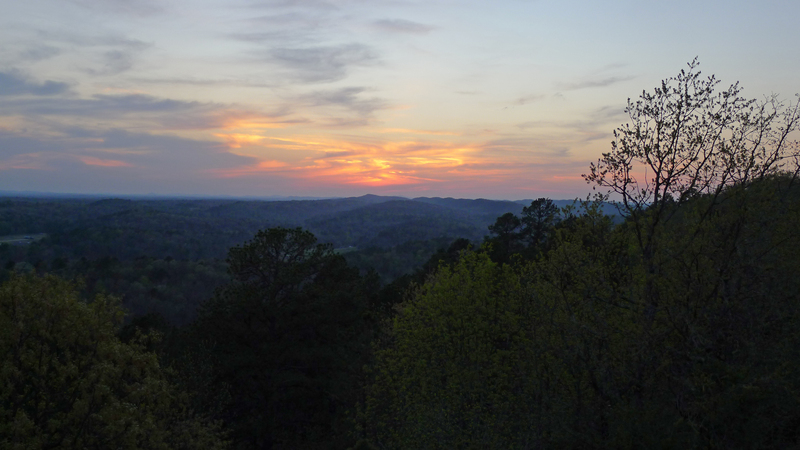 St. Patrick’s Day sunset, 2012. 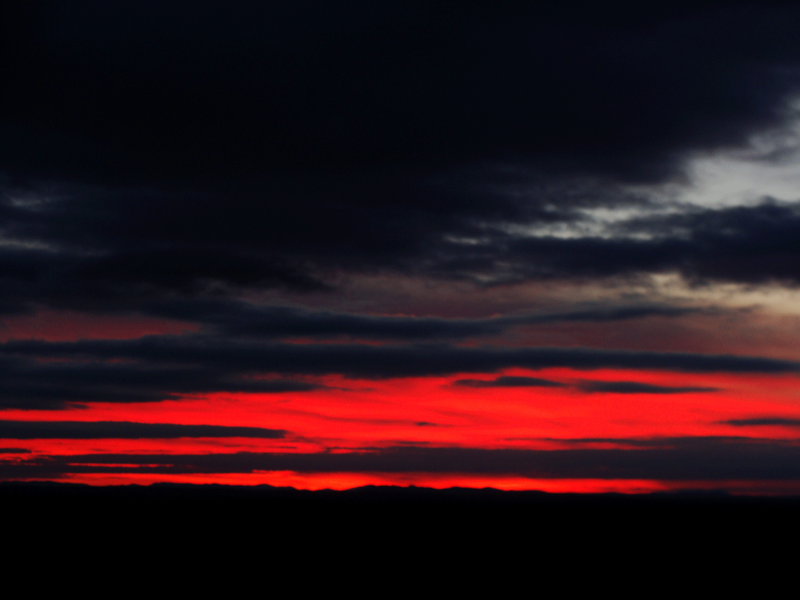 The Feb. 26 sunset in primary colors. 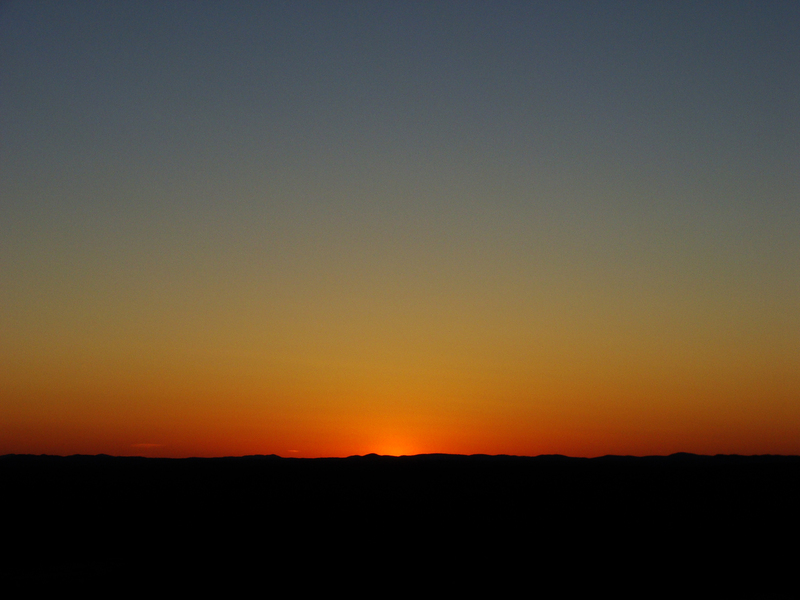 Feb. 11, 2012, sunset. Pure and simple. 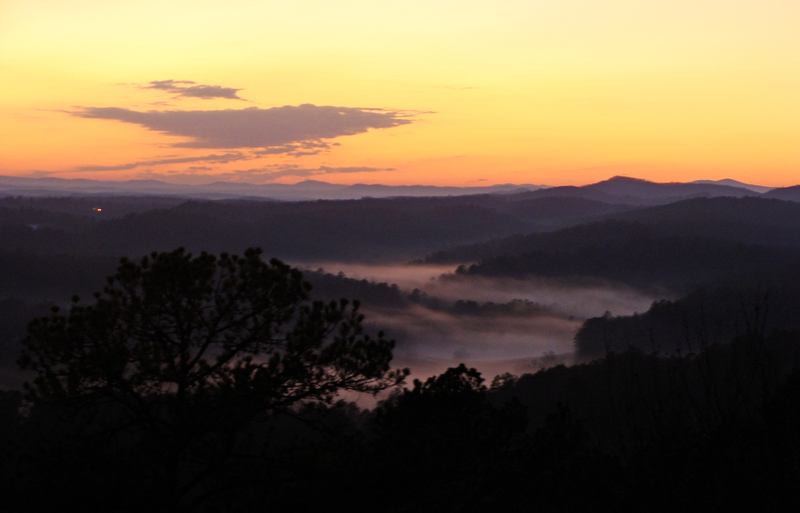 Feb. 1, 2012, sunset, brings to an end a warm day, that saw highs in the 70s, a wave of thunderstorms and the sound of ranine love songs emanating from the valley below. 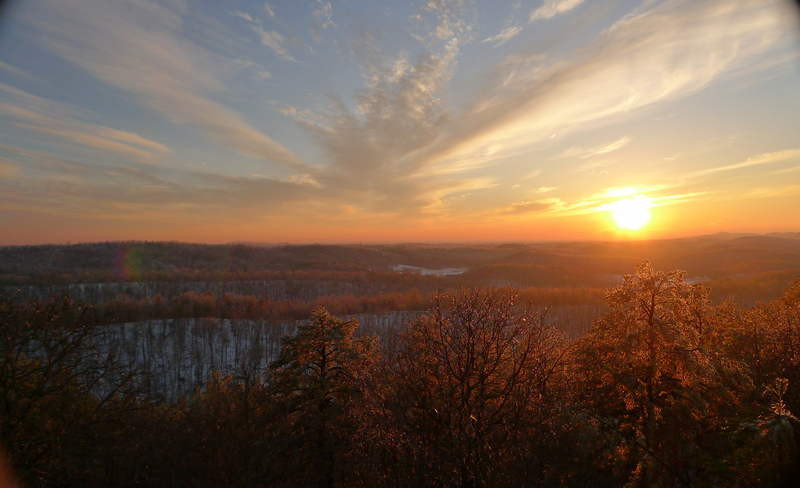 Jan. 30, 2012, sunset. 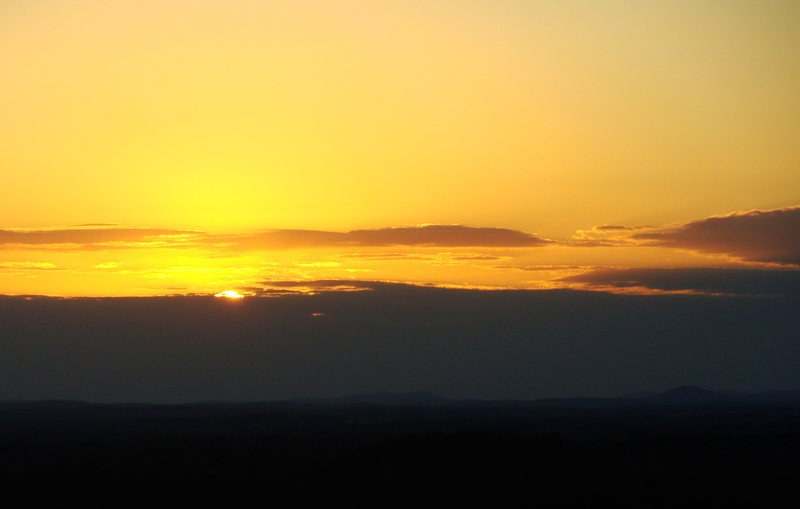 The sun sets a little early, thanks to the encroaching cloud cover. 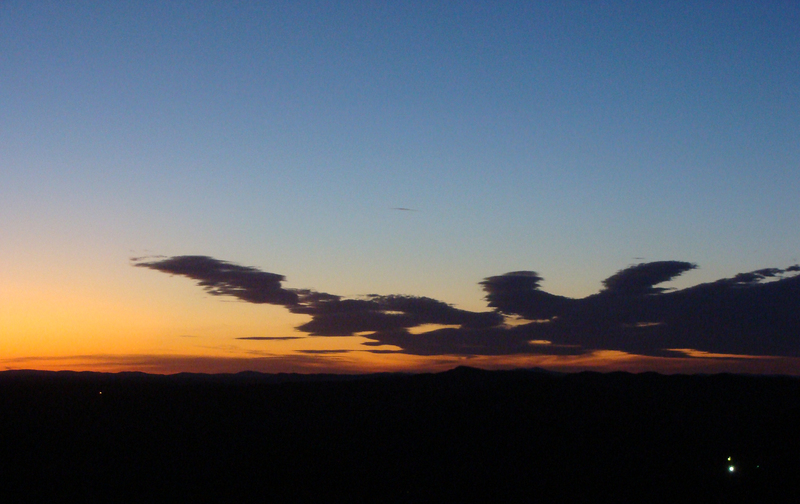 Fingerlike clouds reach eastward in the Jan. 27, 2012, sunset. 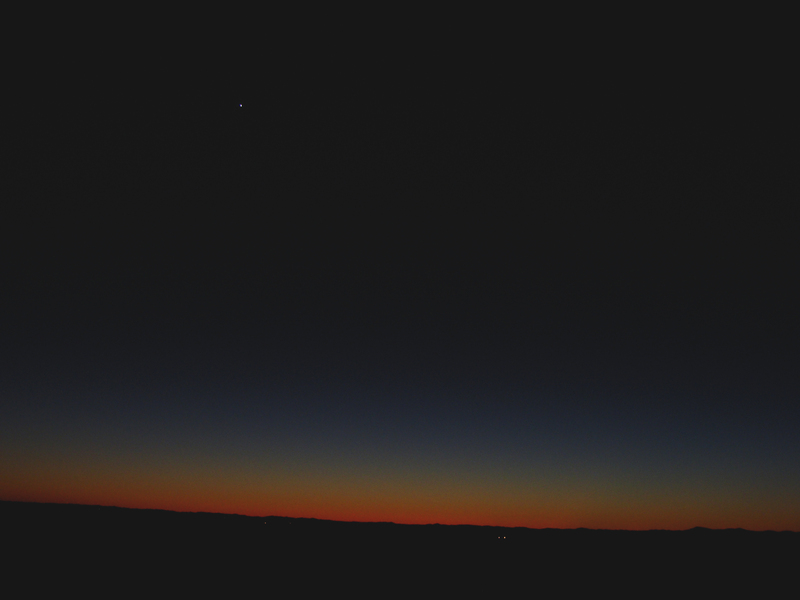 MINIMALIST SUNSET — A narrow strip of color punctuated by the sparkle of Venus on Jan. 23. 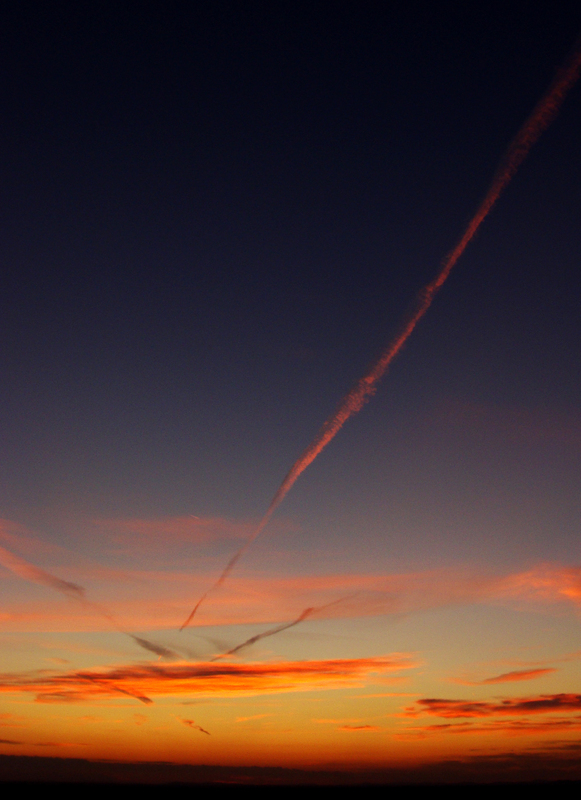 Dallas-bound contrails trace toward the Jan. 11, 2012, sunset. 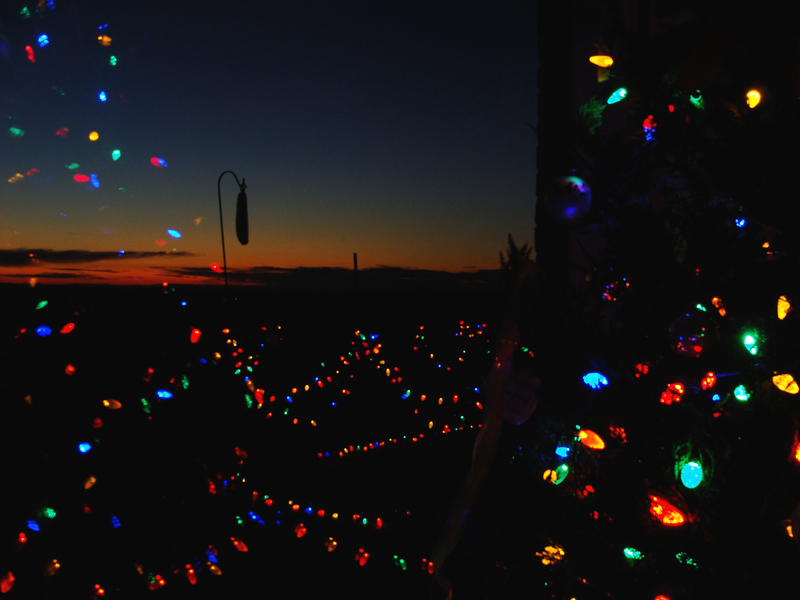 12-11-11 Sunset with Christmas lights. 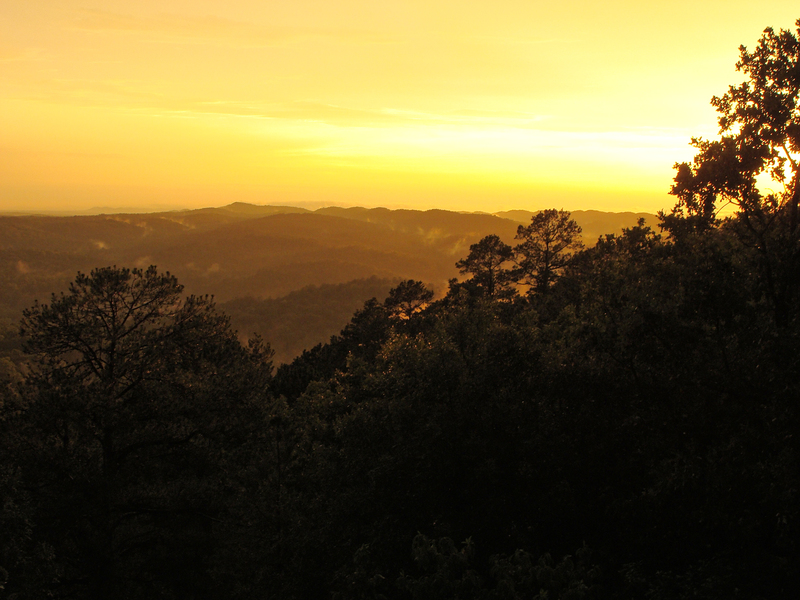 The humid summer air diffuses the yellow glow of the July 13, 2011, sunset. 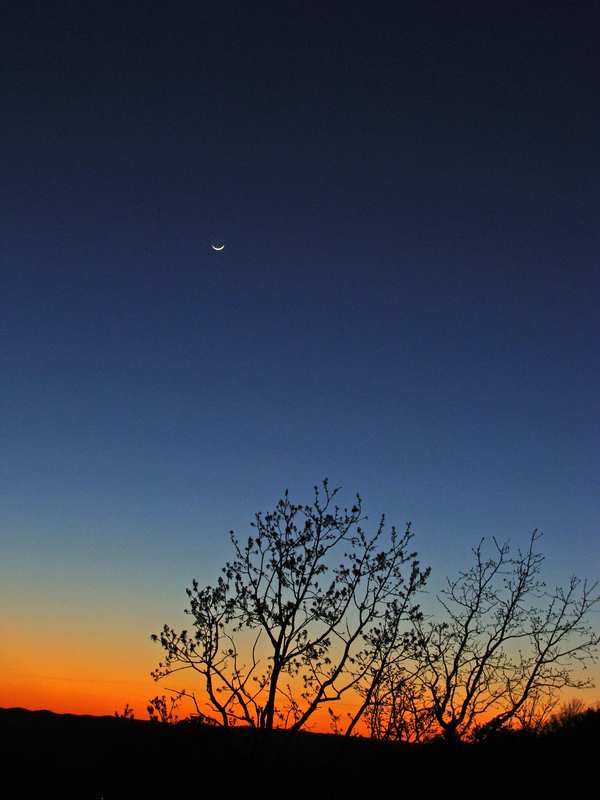 April 5, 2011, sunset with crescent moon. Beautiful sunsets. Glad I’m not the only one who gets excited by the sunrises and the sunsets day after day. Gosh. It’s hard not to! We live in an amazing world! May we all continue to take time and enjoy it all. Glad you liked the sunsets. 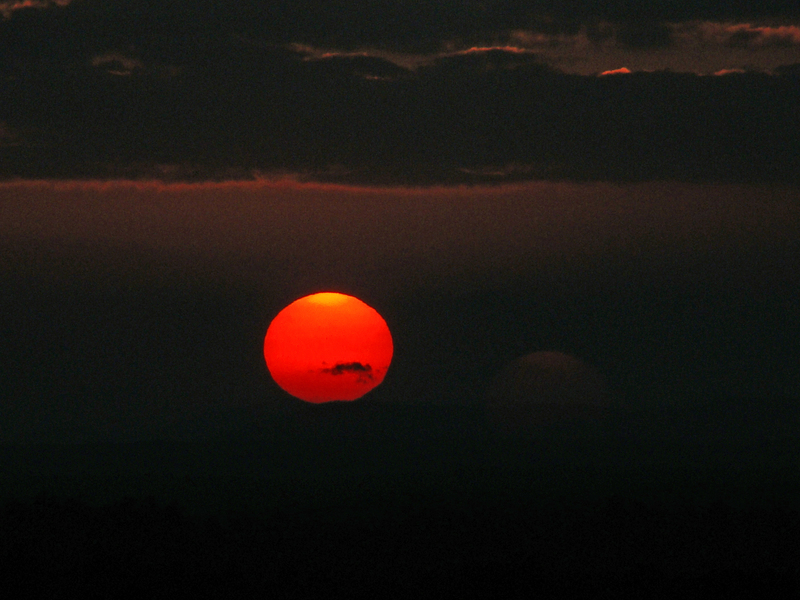 If one gets tired of sunsets and sunrises, one is tired of life. And the hours that follow even more! 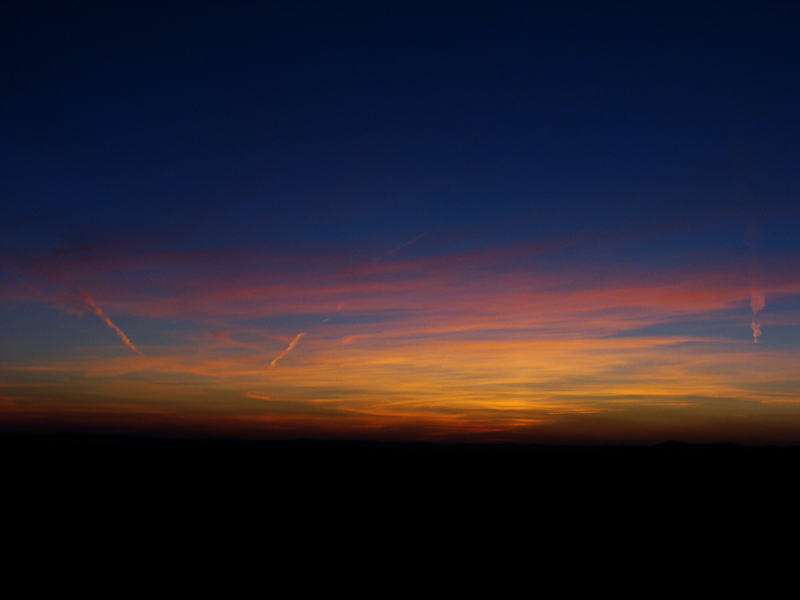 Oh I love sunsets and sunrises! Loved this page! They never get boring, do they?